The youngest children in their class are more likely than their older grade-level peers to be prescribed medication for attention-deficit/hyhperactivity disorder (ADHD) and more apt to score lower on tests of academic performance. This pattern holds well into puberty, according to a study published online November 19 in Pediatrics. Researchers at Mount Sinai School of Medicine, Harvard School of Public Health, and the University of Iceland studied all children in Iceland who took standardized tests at ages 9 and 12 (n=11,785). The country's national registry of prescribed drugs was used to determine which students were prescribed medications to treat ADHD. The researchers found that mean test scores in math and language arts were lowest among the youngest children in fourth grade, though the differences moderated by seventh grade. In addition, they found that children in the youngest third of their class were 50% more likely than those in the oldest third to have been presceribed stimulants between ages 7 and 14. The researchers concluded that "relative age among classmates affects children's academic performance into puberty, as well as their risk of being prescribed stimulants for ADHD." They urged that this finding and the effects of maturity level be considered "when evaluating children's performance and behavior in school to prevent unnecessary stimulant treatment." 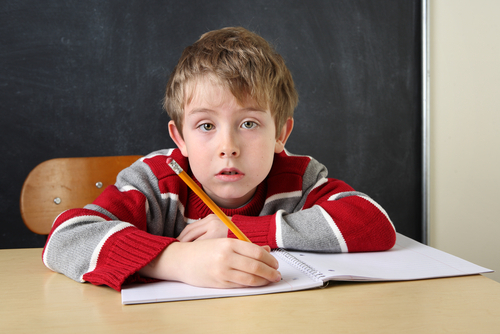 To read more on stimulant medications to treat ADHD, see Psychiatric News. More a review of medications to treat this and other psychiatric disorders of children and adolescents, see the Clinical Manual of Child and Adolescent Psychopharmacology from American Psychiatric Publishing.